Challenge: Create an ‘uncorporate’, authentic collaborative space for Smith Optic’s design and development teams at new Portland, Oregon location. Solution: Seven adjustable-height benches and Miro private office desks with raw steel legs and exposed edge profiles for an industrial look. Tonic mobile personal storage trolleys and Miro private office storage. 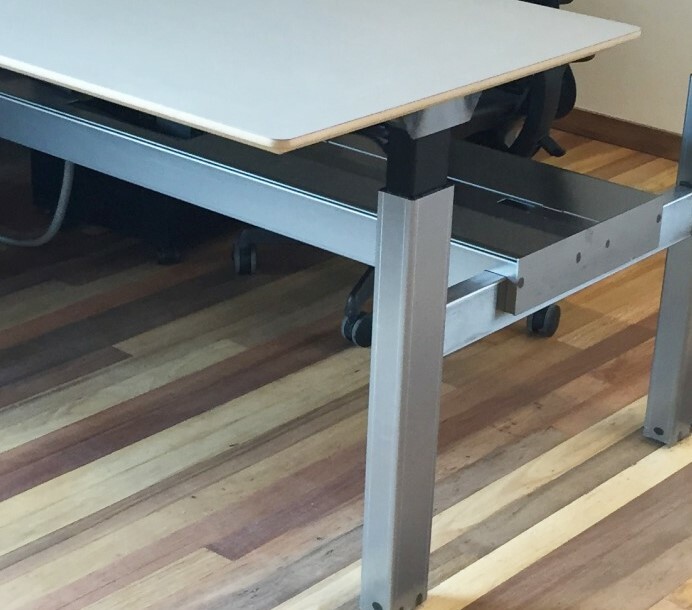 Dynamic benches - Open office spaces were furnished with Watson’s Seven line of adjustable-height benches to give each person the freedom to adjust their work position throughout the day. Storage on wheels - Watson Tonic trolleys provide thoughtful, efficient storage with soft-landing drawers for electronics and other personal items, and lots of room for bike helmets, lunches and files.The trolleys also double as impromptu seating for quick meetings and can be wheeled to wherever they are needed. Open work surfaces - to inspire an open exchange of ideas, the team chose not to install privacy screens for many of their open bench areas. With high ceilings, raw wood beams and exposed brick and ducting, the team’s new building already had an industrial feel. In keeping with the location and the authenticity of its brand, Smith Optics were drawn to Watson’s option of raw steel legs with a clear finish, and requested that detail for all of its furniture. 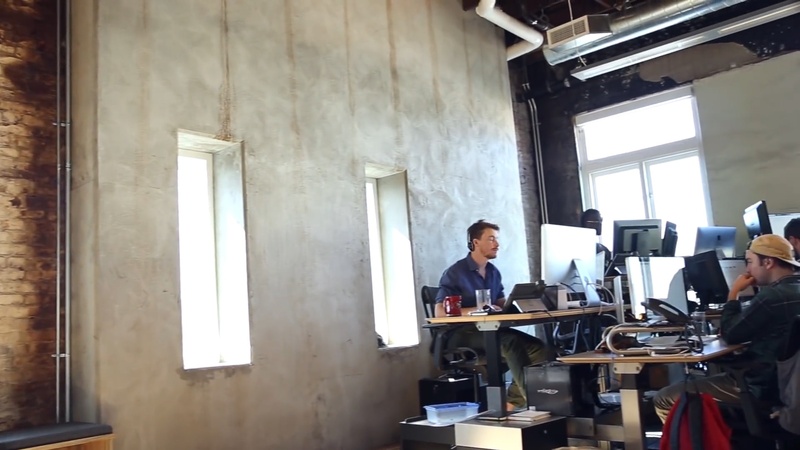 Because Watson fabricates the metal and builds each piece in house, it was able to meet this request across different product lines, resulting in the industrial look the team wanted throughout the entire office. The team also chose to expose the warm MDF core of their furniture with Watson’s distinctive knife-edge profile. All surfaces were covered with a light-grey laminate for cohesiveness and to round out the industrial look. Smith Optics chose Watson’s Miro line to equip their private offices. The minimalistic leg and edge profile, sleek lines of the furniture and floor-to-ceiling glass walls, kept private offices feeling open, while the same choice of finish for the legs and surfaces unified the entire workspace with a cohesive industrial look. 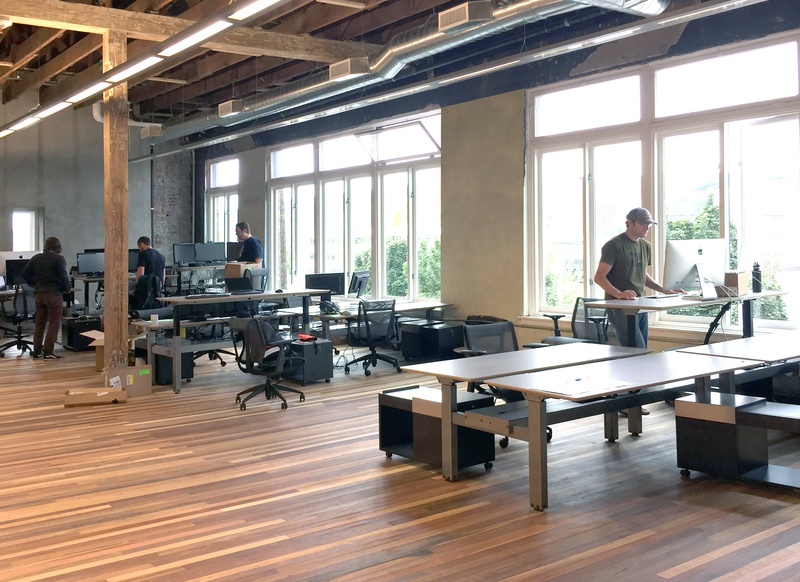 The Smith team has quickly settled into its new Portland home, and continues to grow, expanding from its initial installation of 40 workstations. Watson is proud to be part of the story and to build the furniture that is helping this innovative company create the next generation of authentic, high-performance products for athletes around the globe.